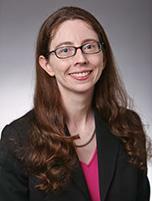 Alicia Bannon is an expert in North Carolina’s judicial woes. She serves as senior counsel at the Brennan Center for Justice and has authored several nationally-recognized reports and articles on judicial selection, access to justice and government dysfunction. Bannon has been keeping a close eye on the North Carolina legislature’s calculated moves to take over the courts, a trend that has legs across the nation. She most recently testified before the Senate Select Committee on Judicial Reform and Redistricting. What do you think is happening to North Carolina’s judiciary? Well, I think it’s a worrying trend. I think that you can look at the set of bills, both the sheer number of bills that are targeting the courts and then specifically what those bills have focused on, and see an effort that seems designed to increase partisan control over the judiciary and kind of gain political advantage. That’s bad for the integrity of North Carolina’s court system; it’s bad for public confidence that courts are going to be able to do their job and decide cases based on their understanding of what the law requires, putting aside any kind of political or partisan preferences and certainly putting aside any political pressure. Have we seen this happening in other states or is it just North Carolina? There have been a host of bills around the country that have been targeting state courts. I would say that North Carolina has the questionable honor of being out ahead in terms of actually having passed so many of these bills. Is there one bill in particular that raises concern for you? One of the laws that passed that I thought was particularly troubling last year was the measure that reduced the size of North Carolina’s intermediate appellate court, which had the function of taking away the Governor’s ability to then make interim appointments when those seats became empty. What I thought was really striking was that that wasn’t a court-led measure. There wasn’t an effort to figure out exactly how many judges the court needed in order to be effective; it seemed much more to be focused on how can we gain some sort of partisan or political advantage in terms of the composition of that court? What are your thoughts on the constitutional amendment that would reduce judges’ terms to two years? I think having judges in a constant campaign mode is really dangerous. We’ve already seen in the elections in North Carolina and around the country that already they have become highly politicized, they attract a lot money and they put a lot of pressure on judges in ways that aren’t healthy. The details would really matter, and I should say, at least some of the proposals that I’ve heard, I wouldn’t characterize as a merit selection system. For a merit selection system to work well … usually how that functions is you have a nominating commission that considers potential judges, vets them, interviews them, checks references, goes through a whole process and then creates a short list and then that short list typically goes to the Governor and the Governor has to choose from one of the candidates on that short list for that person to become a judge. The composition in particular of that nominating commission is really important.